the Law on Adoption, which was passed on June 17, 2010, by the XIIth National Assembly of the Socialist Republic of Vietnam at its 7th session. The National Assembly promulgates the Law on Adoption. This Law provides the principles and conditions for adoption; competence, order and procedures for settling adoptions; rights and obligations of adoptive parents, adopted children and natural parents; and responsibilities of agencies and organizations in adoption. nurtured, cared for and educated in the family environment. between the adopting and adopted persons. 2. Adoptive parent means the person who adopts another after the adoption is registered by a competent state agency. 3. Adopted person means the person who is adopted after the adoption is registered by a competent state agency. 4. Domestic adoption means the adoption between Vietnamese citizens permanently residing in Vietnam. between Vietnamese citizens either of whom settles abroad. 6. Orphan means a child whose parents are dead or whose parent is dead while the other is unidentifiable. 7. Abandoned child means a child whose natural parents are unidentifiable. 8. Family of origin means the family of persons who have biological ties. 9. Substitute family means the family that adopts a child. 10. Nurturing center means a social relief establishment, a child support establishment or another establishment established under Vietnamese law to nurture, care for and educate children. 1. When settling adoptions, the right of children to live in the family of origin must be respected. 2. Adoption must ensure the legitimate rights and interests of adopted and adopting persons, free consent, equality, non-discrimination between male and female and non-violation of law and social ethics. 3. Adoption by a person living abroad is allowed only when no domestic substitute family can be found. c/ Foreigners permanently residing in Vietnam; d/ Vietnamese citizens settling abroad; e/ Foreigners permanently residing abroad. 2. In case more than one person of the same priority rank seek to adopt a person, adoption shall be considered and settled for the person with the best nurturing, care and education conditions. The State protects the right to adopt and the right to be adopted in accordance with this Law and relevant laws. The State encourages organizations and individuals to provide humanitarian assistance for the nurture, care for and education of children in disadvantaged circumstances. Humanitarian assistance must not affect adoption. The Government shall stipulate the receipt, management and use of humanitarian assistance referred to in this Article. Article 8. Persons allowed to be adopted 1. Children under 16 years. a/ To be adopted by the step father or step mother; b/ To be adopted by a natural aunt or uncle. 3. A person may be adopted by only one single person or two persons being husband and wife. 4. The State encourages adoption of orphans, abandoned children and children in other disadvantaged circumstances. the persons introduced for adoption permanently reside are competent to decide on intercountry adoptions; provincial-level Justice Departments are competent to register intercountry adoptions. 3. 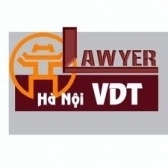 Overseas representative missions of the Socialist Republic of Vietnam are competent to register adoptions by Vietnamese citizens temporarily residing abroad. People’s Courts are competent to settle requests for termination of adoption in accordance with the law on civil procedures. 1. Adopted persons have the right to know their origin. Nobody is allowed to obstruct an adopted person from knowing his/her origin. 2. The State encourages and creates conditions for adopted persons being Vietnamese living abroad to visit their native places. 1. Adopting persons shall pay an adoption registration fee. 2. In addition to the adoption registration fee referred to in Clause 1 of this Article, a foreigner not permanently residing in Vietnam and seek to adopt a child in Vietnam shall pay a sum of money to partly offset expenses for settling intercountry adoptions, including expenses for nurturing, caring for and educating the child from the time of introduction for adoption to the time of completion of procedures for the child’s delivery and receipt, verifying the origin of the introduced child, delivering and receiving the child and reasonable remuneration for the nurturing center’s employees. 3. The Government shall specify the competence to collect the adoption registration fee, its rates and its exemption and reduction, management and use, and expenses for settling intercountry adoptions under Clauses 1 and 2 of this Article. 4. In addition to the adoption registration fee and expenses for settling intercountry adoptions referred to in Clauses 1 and 2 of this Article, organizations and individuals engaged in intercountry adoption activities may not impose any other charges. 1. Taking advantage of adoption for self-seeking purposes, exploiting the working capacity, sexually abusing, abducting or trafficking in children. 2. Forging papers for adoption settlement. 3. Discriminating between natural and adopted children. 4. Taking advantage of adoption to violate the population law. 5. Abusing the adoption by war invalids, persons with meritorious services to the revolution or ethnic minority persons to enjoy state incentives. 6. Grandparents adopting their grandchildren or siblings adopting one another. 7. Taking advantage of adoption to act against the law or fine national customs, practices, ethics or cultural traditions. c/ Having health, financial and accommodation conditions for assuring the care for and nurture and education of the adopted child. d/ Having good ethical qualities. d/ Having a criminal record of commission of any of the crimes: intentionally infringing upon another’s life, health, dignity and honor; maltreating or persecuting one’s grandparents, parents, spouse, children, grandchildren or caretaker; enticing or compelling a minor to violate the law or harboring a minor violator; trafficking in, fraudulently swapping or appropriating children, which has not been remitted yet. 3. In case the step father or step mother adopts a step child or a natural aunt or uncle adopts a nephew or cousin, Points b and c of this Article will not apply. Article 15. Responsibility to find substitute families for children 1. In case a child cannot be nurtured in the origin family environment, a concerned agency, organization or individual shall find a substitute family for the child. province’s print newspaper or other mass media. Within 60 days from the date of announcement, if a person in the country seeks to adopt the child, he/she shall contact the commune-level People’s Committee of the place in which the child permanently resides for consideration and settlement; once the adoption has been completed, the commune-level People’s Committee shall report it to the provincial-level Justice Department for deletion of the name of the child in the list of children in need of substitute families. Past 60 days from the date of announcement, if nobody in the country seeks to adopt the child, the provincial-level Justice Department shall send the list of children in need of substitute families to the Ministry of Justice; d/ The Ministry of Justice shall announce the finding of persons in the country seeking to adopt children on its website. commune-level People’s Committee shall report it to the Ministry of Justice for deletion of the name of the child in the list of children in need of substitute families. permanently resides for consideration and settlement. 5. A health certificate granted by a district- or higher-level health agency; a written certification of family circumstances and housing and economic conditions granted by the commune-level People’s Committee of the place in which the adopting person permanently resides, except for the case specified in Clause 3, Article 14 of this Law. e/ The receipt decision, for children in a nurturing center.